New kitchen cabinets can give an old kitchen a refreshing and modern look. Get acquainted with kitchen cabinet sizing standards before embarking on your next remodeling project. When it comes to home renovation projects, remodeling or updating a kitchen ranks second; bathrooms having the honor of being first. Unless your house is fairly new, your kitchen is probably functional, but potentially somewhat dated. Some people like the look and feel of old kitchen cabinets, while others want a space that feels modern and new.
. 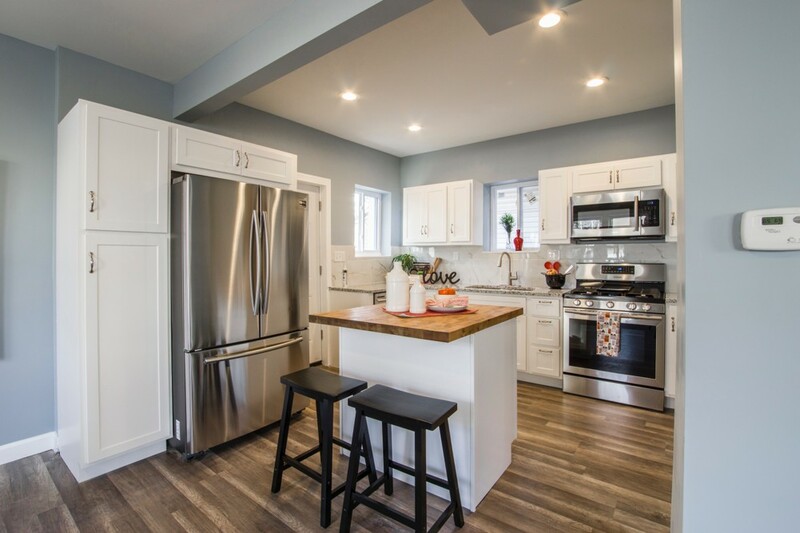 If you don’t have the budget for a full kitchen redesign, you can give the space a bit of a facelift without having to reconfigure the entire kitchen or relocate any fixtures or appliances. For cabinets that are painted, a fresh coat of paint in a new color or just replacing old doors can instantly make a kitchen feel more modern. But if you plan on replacing countertops, or have cabinets with structural issues, you’ll want to buy brand new cabinets. Replacing kitchen cabinets can be costly. Before you begin your kitchen makeover, you will need to plan the new layout of your kitchen to work in conjunction with your existing features such as plumbing, gas lines, wiring, range hoods, windows, and any major appliances. Start with pen and paper and measure the existing cabinets in your kitchen. 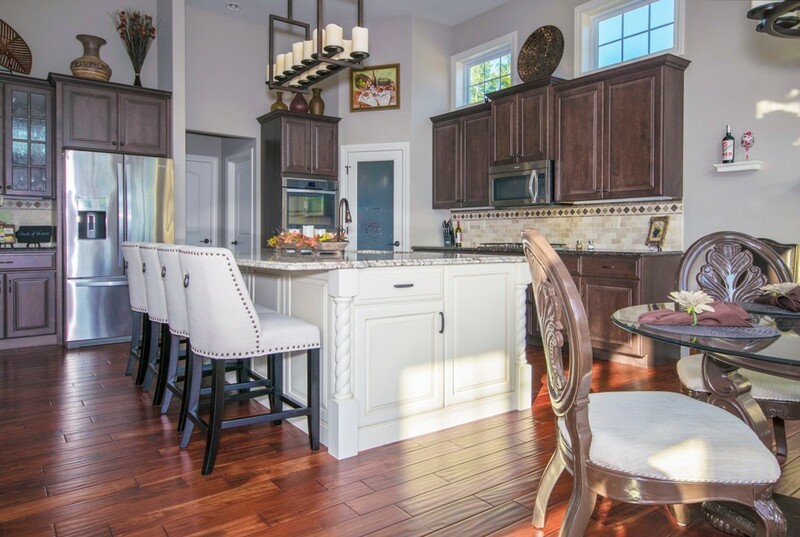 There are standard cabinet sizes, but if your kitchen is very old or has custom cabinets installed, the sizing may not match today’s standards. Once you have all the cabinet space measured and you know your cabinet dimensions, you can move to a computer or sketch out how you would like the new kitchen to look. You may be able to use different kinds of cabinets for increased storage or mix and match cabinets for an entirely new look. Be sure to measure your ceiling height to determine what size wall cabinets you can use. No matter what material, color, or look you prefer, all kitchen cabinets come in three different types: base, wall, and tall. Base cabinets sit on the floor and support a countertop. Wall cabinets mount on the wall and are usually over the countertop. Tall cabinets sit on the floor, but are much taller than standard base cabinets and are often used as pantry cabinets. They are sometimes placed next to refrigerators or doorways. 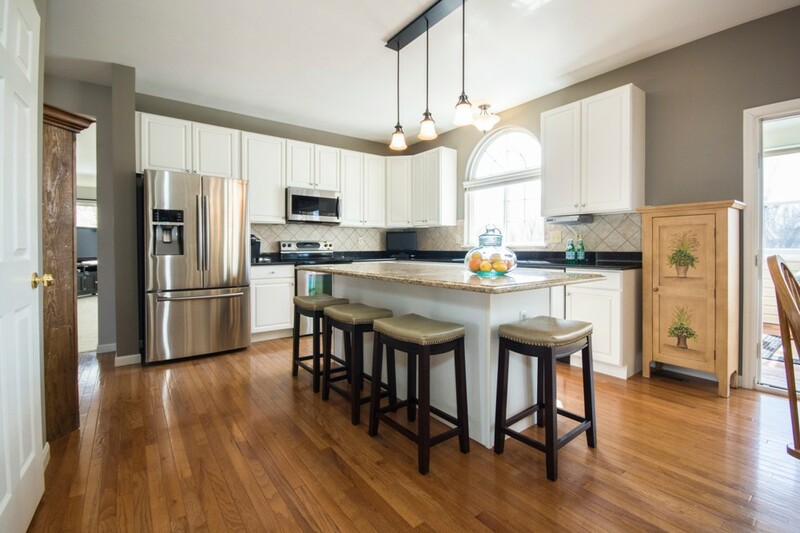 Because the sizes of kitchen cabinets can vary, all three types come in different standard widths and heights, and you will need to determine which size will fit your layout. Base cabinets are the building blocks of a kitchen. These cabinets will be the support for any countertops and need to be sturdy and well made. Base cabinets typically come with doors, drawers, or a combination of the two. The standard height of a base cabinet is 34.5 inches. Adding a standard countertop will bring the total height to 36 inches. Base cabinets that will not be placed under a countertop measure 36 inches high. Base cabinets are made to sit against the wall and will support sinks, and line up with stoves and ovens. The width of base cabinets can vary greatly from a skinny nine inch cabinet to a wide 48 inch cabinet. When planning out your kitchen design, you can place different styles next to each other to maximize the storage space. The standard depth for base cabinets is 24 inches, but there are also 30 inch depth cabinets. Base cabinets have what is called a toe kick at the bottom. The toe kick is an indent that allows you to stand in front of the cabinet without hitting your toes against the cabinet. A toe kick is typically 3½ inches high and 3 inches deep. As the name implies, wall cabinets are designed to be hung or mounted to studs in the wall. Wall cabinets are sometimes called upper cabinets. Because they won’t be holding up a heavy countertop or sink, they don’t need to be quite as sturdy as base cabinets, but they do need to be able to hold the weight of dishes and canned goods. Wall cabinets are usually more decorative than base cabinets since they are at eye level. Wall cabinets should be installed at a height that gives you 18 inches of space above the countertop. This is 54 inches from the floor. Standard dimensions for wall cabinets are 30, 36, and 42 inches high. The standard cabinet depth for wall cabinets is 12 inches. 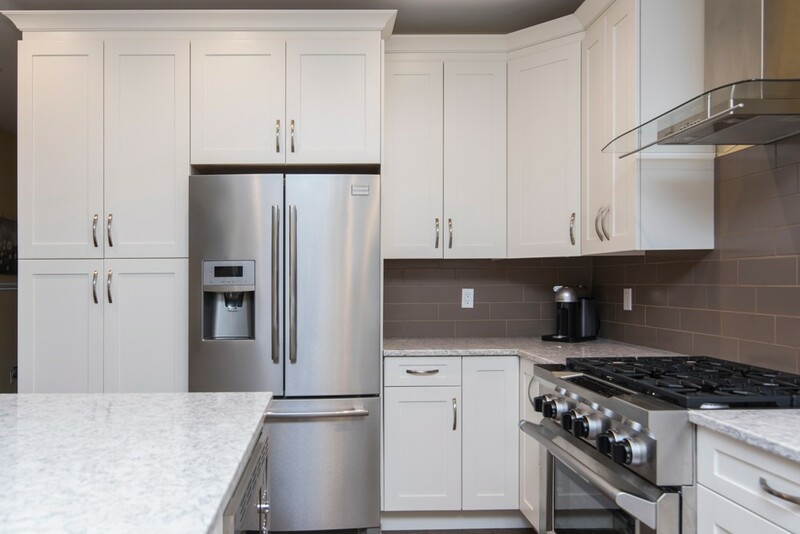 Wall cabinets designed to go over a refrigerator are shorter than over-the-counter cabinets and 24 inches deep to line up with the refrigerator. The width of wall cabinets varies from 9 to 36 inches. Wall cabinets come with doors which can be wooden or glass. Some homeowners opt for open cabinets with no doors, but this style can sometimes cause the kitchen to appear cluttered, as all your contents are openly on display. You will need to know your ceiling height before buying wall cabinets. For a standard eight foot ceiling, you could install 42 inch cabinets that would go all the way to the top of the ceiling. If you prefer a little space above the cabinets, you could use 30 or 36 inch wall cabinets. Tall cabinets are exactly like they sound - tall. Tall cabinet sizes usually come in standard heights of 84, 90, and 96 inches to match the height of the installed wall cabinets. The depth is usually 24 inches, but 12 inch cabinets are available for tight spaces. Tall cabinet widths can vary from 12 to 36 inches. Tall cabinets are typically used for pantries or to hold ovens. Pantry cabinets contain many shelves and span from 12 to 30 inches wide. Oven cabinets have an opening for an oven and drawers underneath. A double oven can be accommodated by removing some drawers. 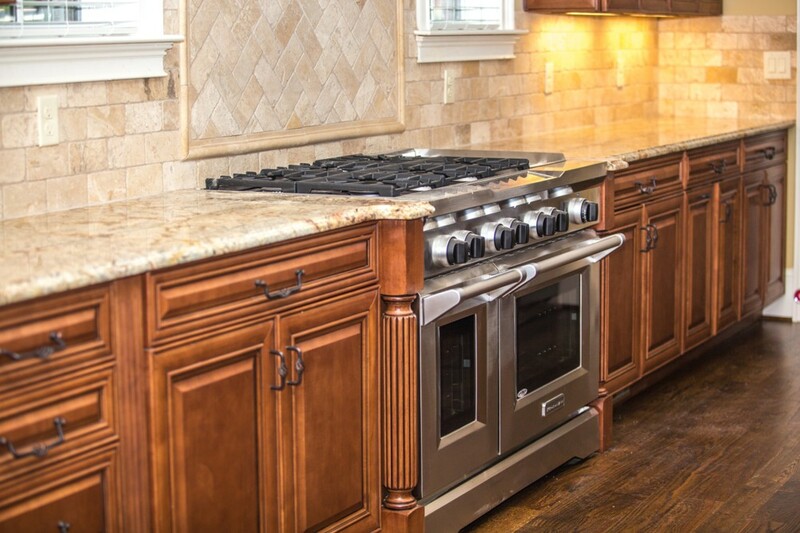 Oven cabinets are typically 33 inches wide and can hold most standard residential ovens. Tall cabinets can also be used for storage in laundry rooms and mudrooms. When not trying to match kitchen cabinets, a 96 inch cabinet can stretch from floor to ceiling for maximum storage space. Kitchen cabinets are often the most decorative and attractive features in a kitchen. Replacing them can improve not only the look, but also the functionality of your kitchen space as well. Standard sizes, but different styles, such as drawers and doors, can make planning a new kitchen a fun and exciting project. Before setting out to buy new kitchen cabinets, know how many and what size will fit into your kitchen layout.